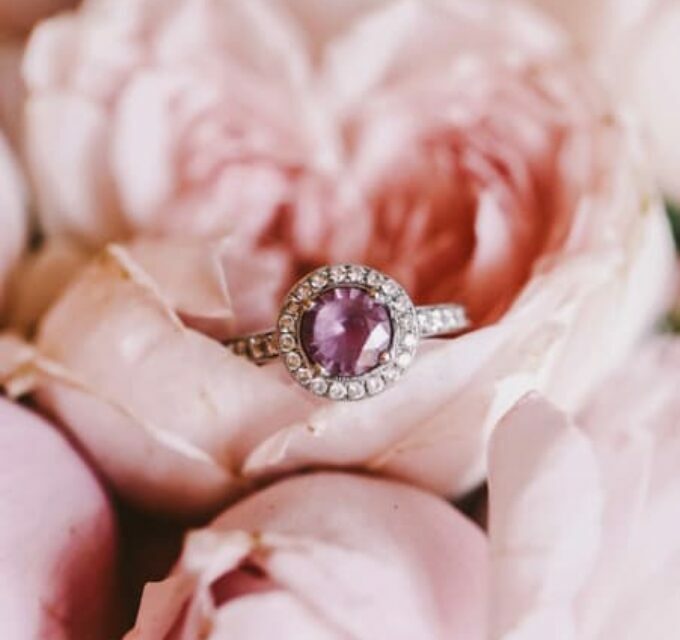 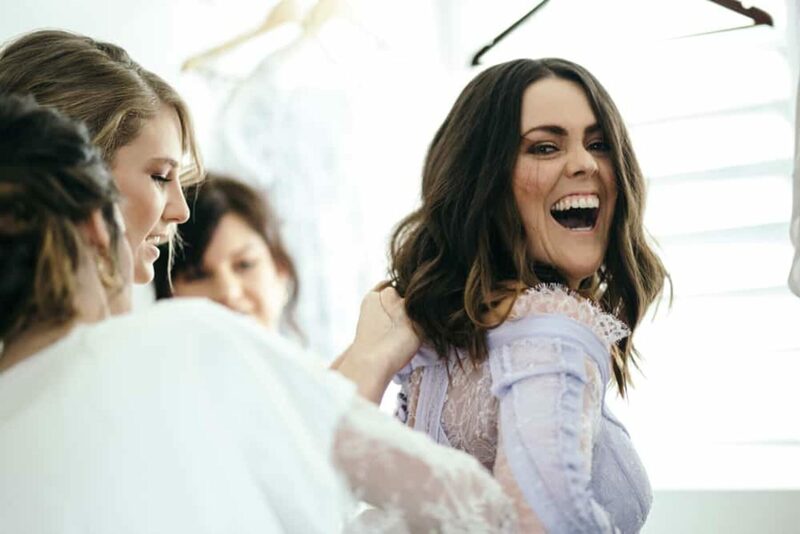 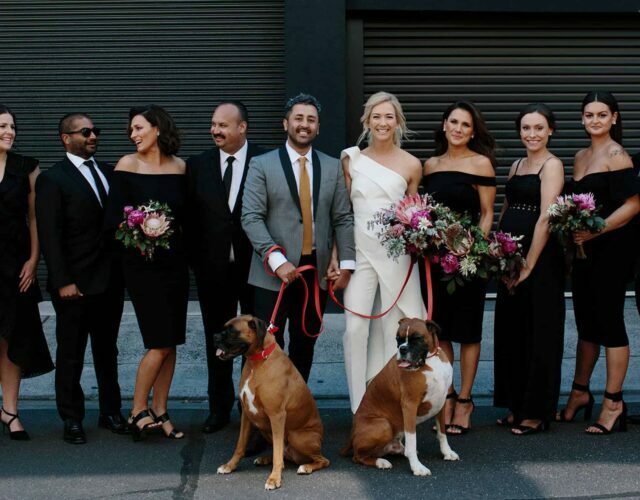 If the name Georgia Young rings a bell, it’s probably because you’ve seen her gorgeous designs worn by some of our brides. 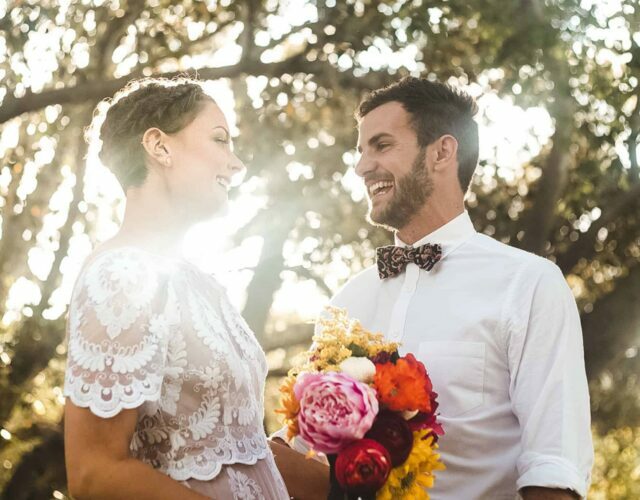 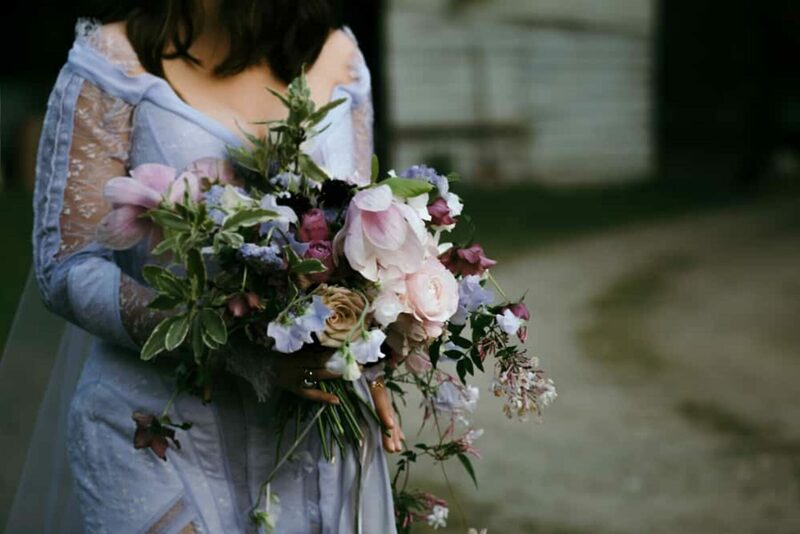 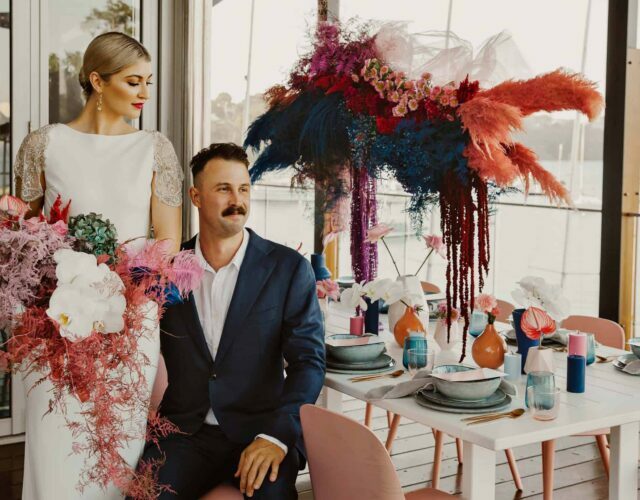 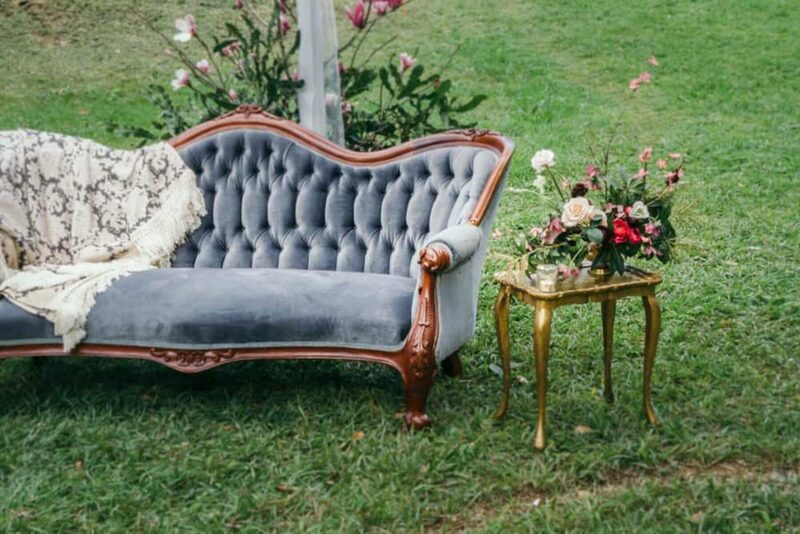 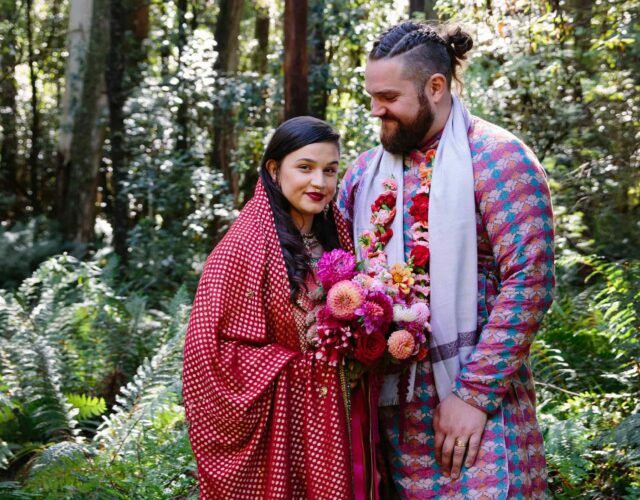 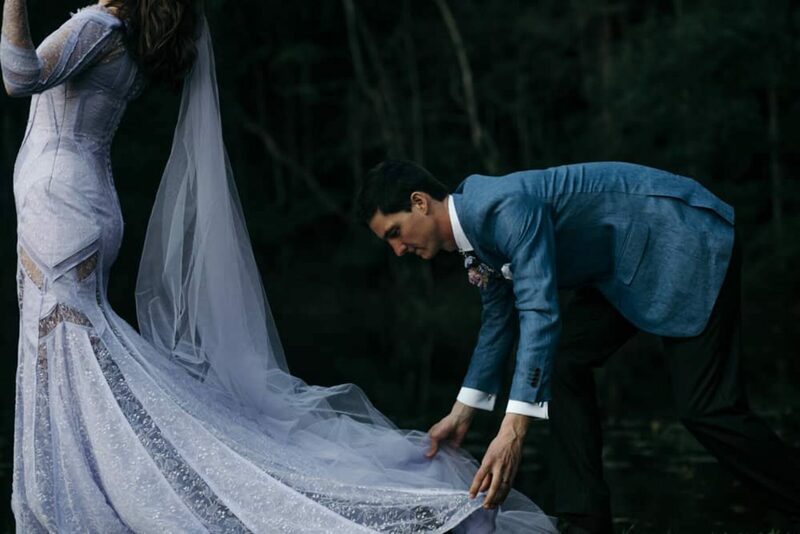 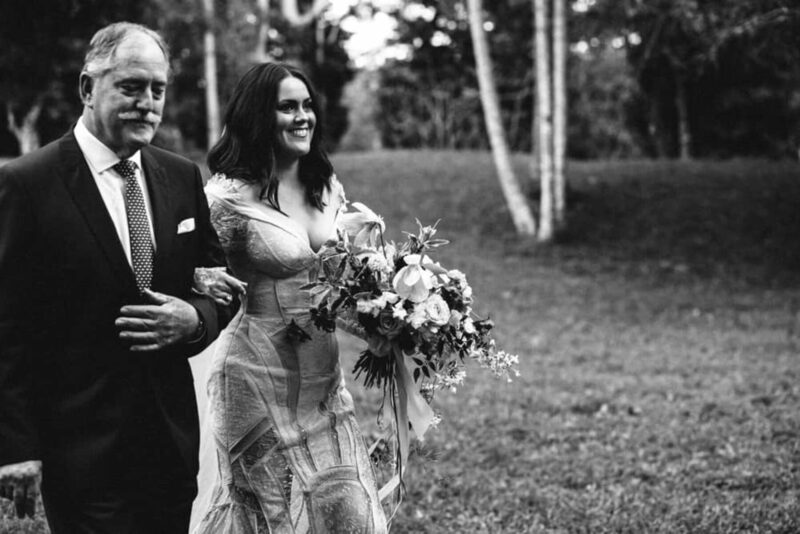 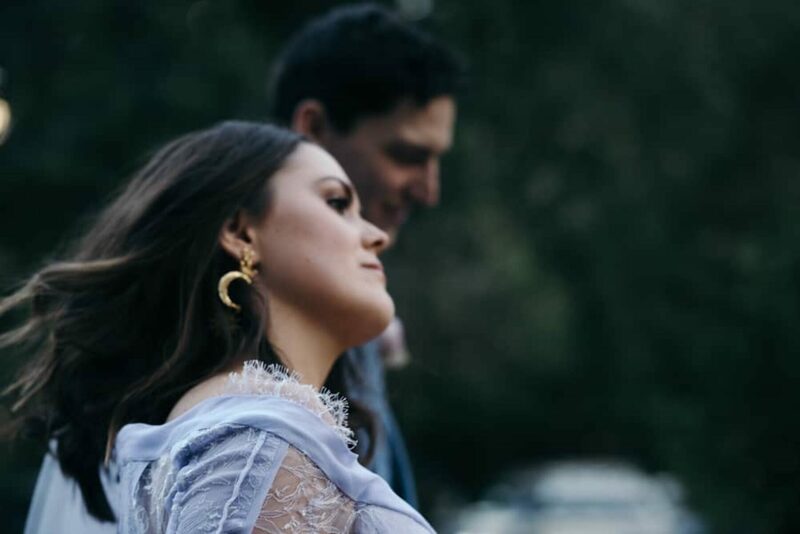 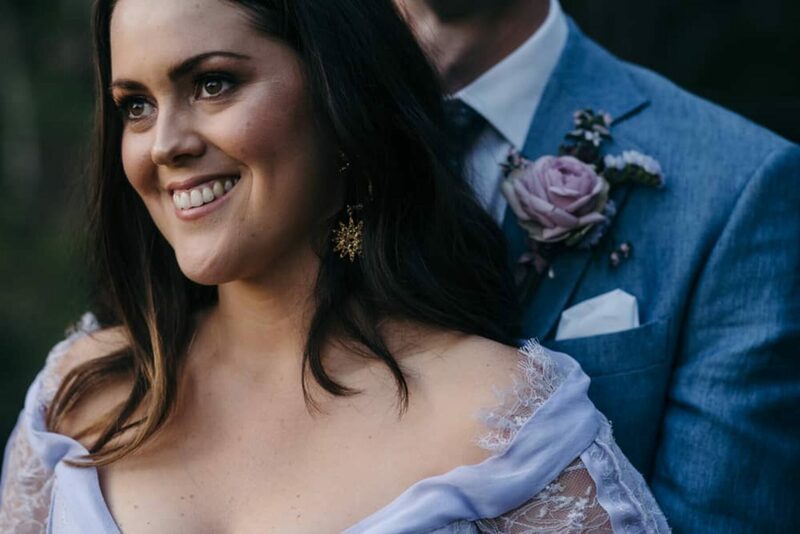 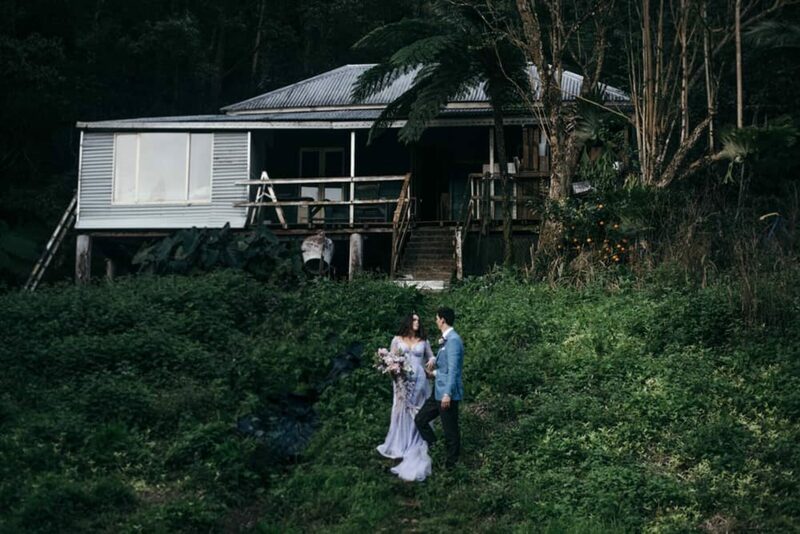 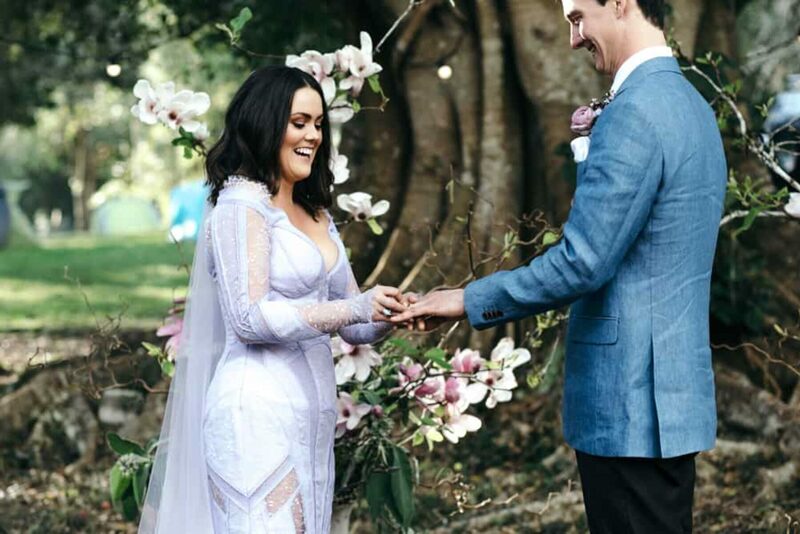 This time it was Georgia’s turn to walk down the aisle, and she and Adam tied the knot at Maca’s Camping Ground bringing along Lisa of Paper & Light Photography to capture their relaxed affair. 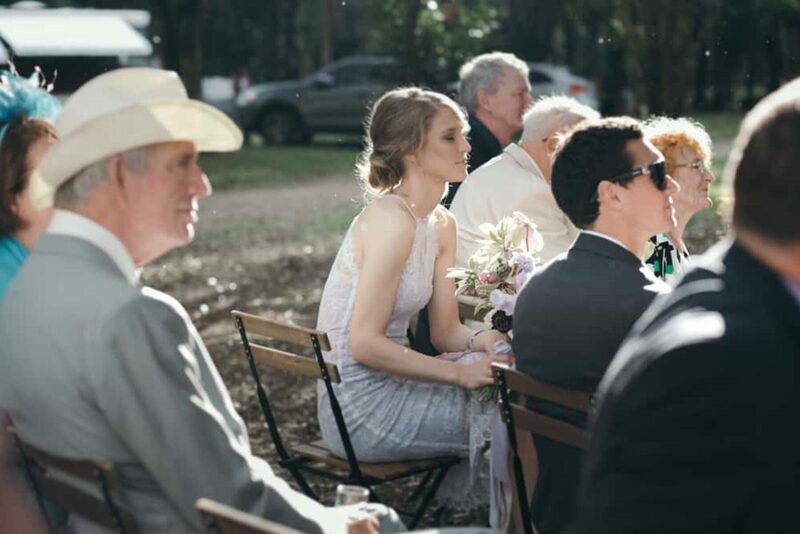 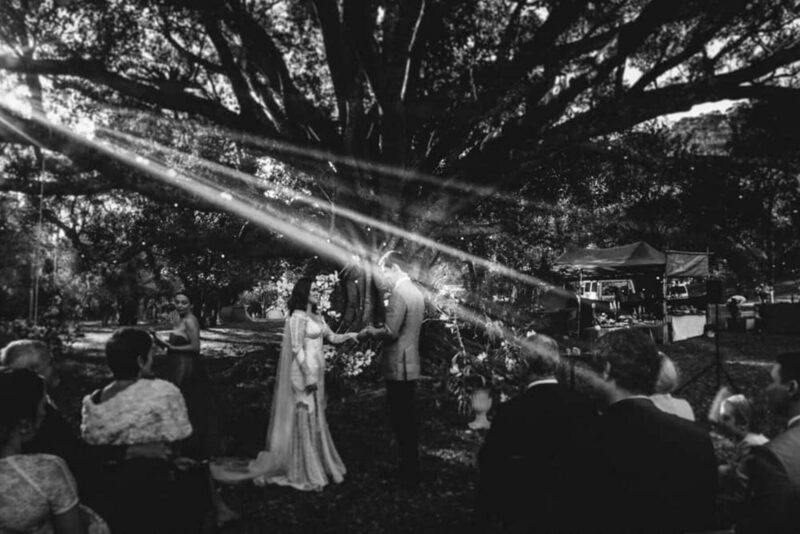 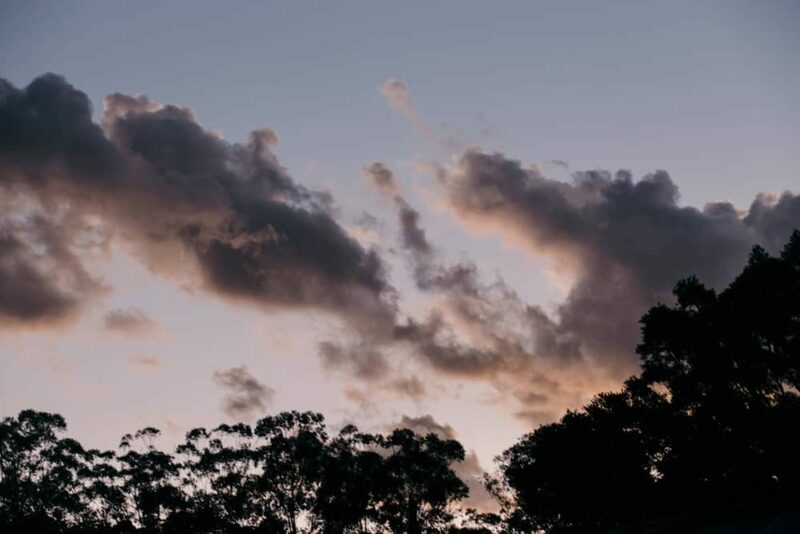 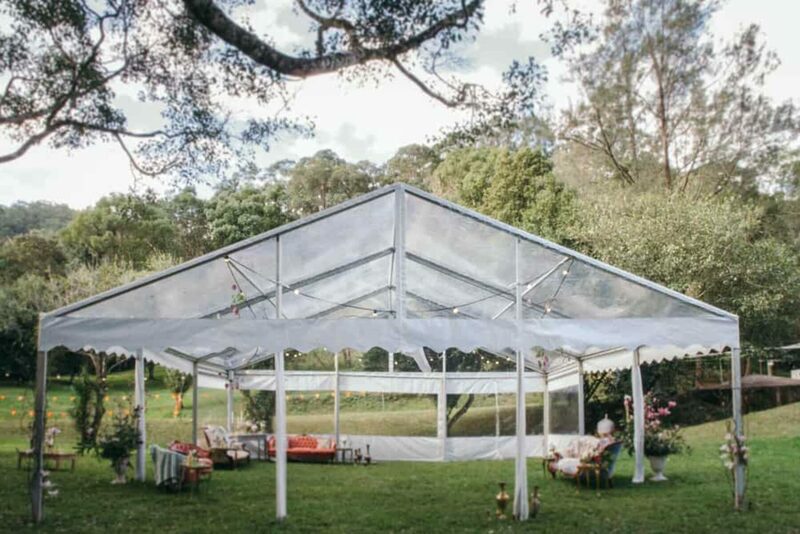 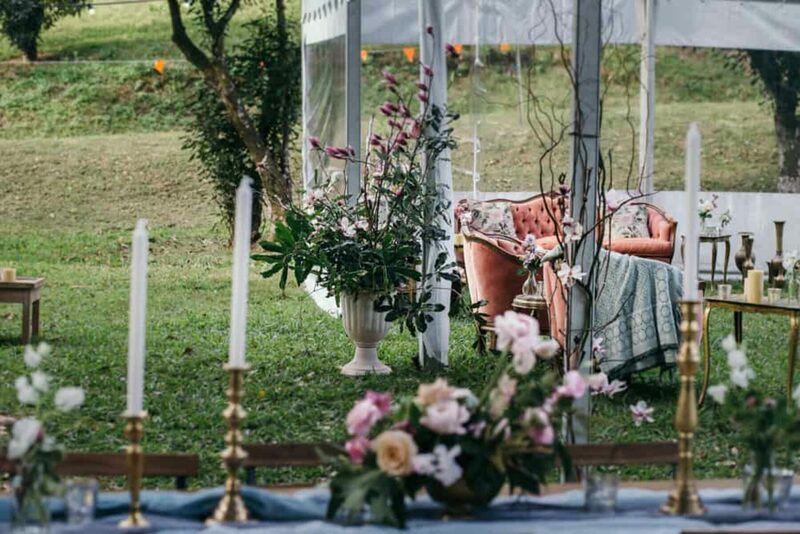 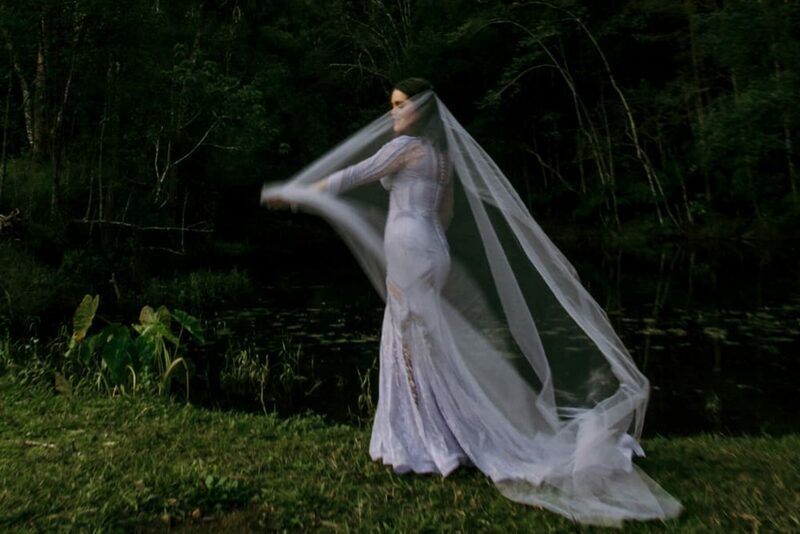 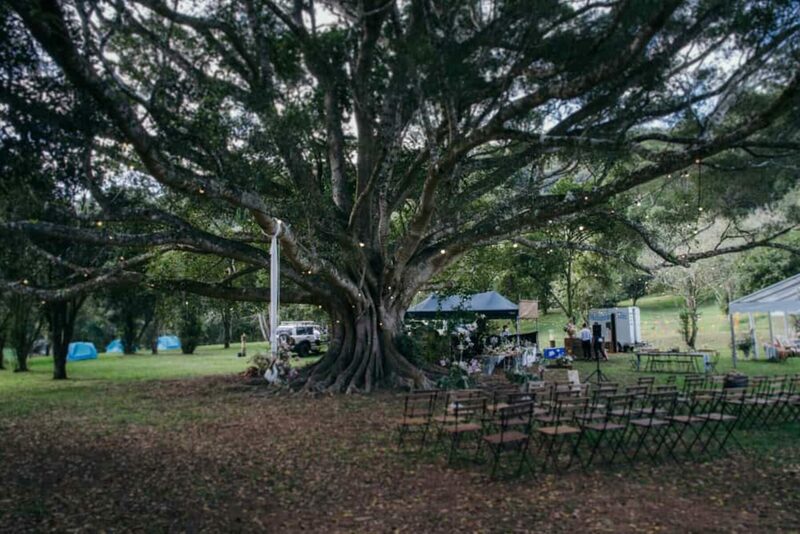 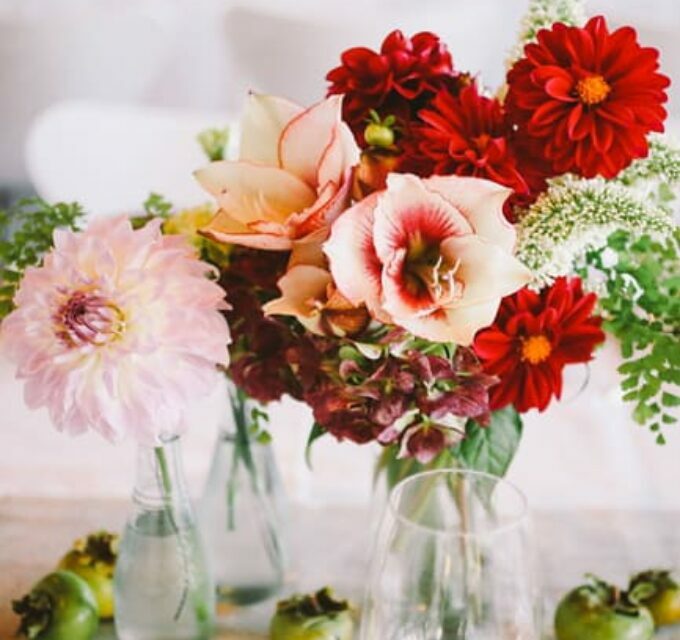 As nature lovers, an outdoor wedding was a non-negotiable and they chose the picturesque Mullumbimby campsite having stayed there previously. 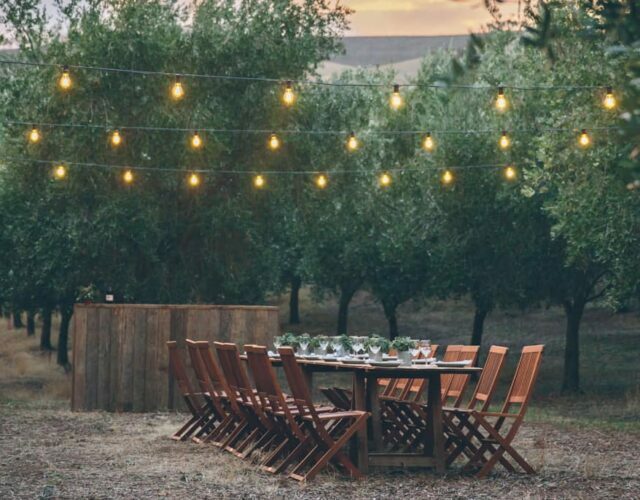 “The outdoors plays a bit part in our lives, so for us we wanted something relaxed, outside and under the stars.” Georgia shares. 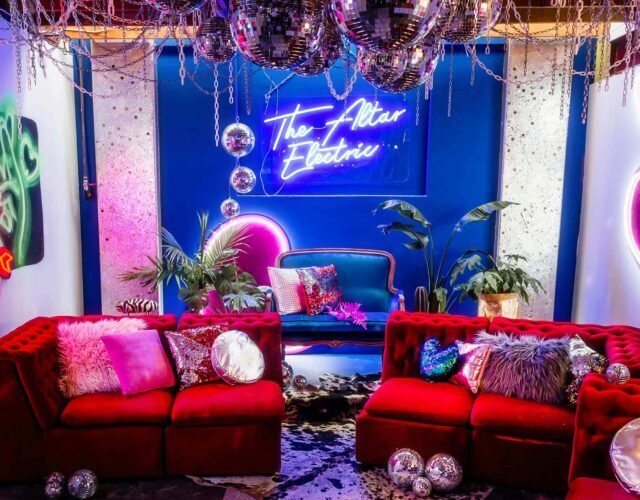 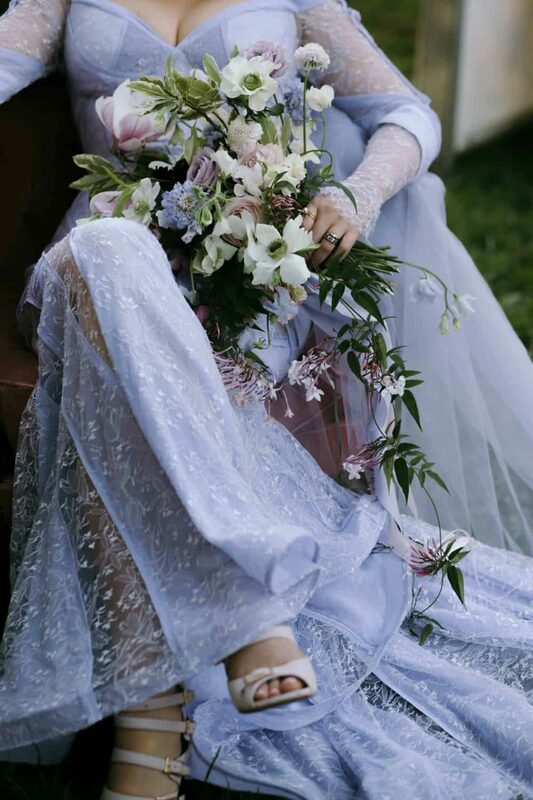 “There wasn’t a lot of thought into a theme so much. 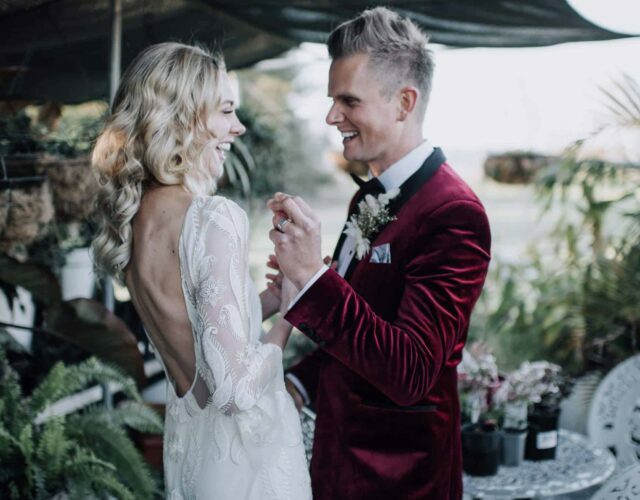 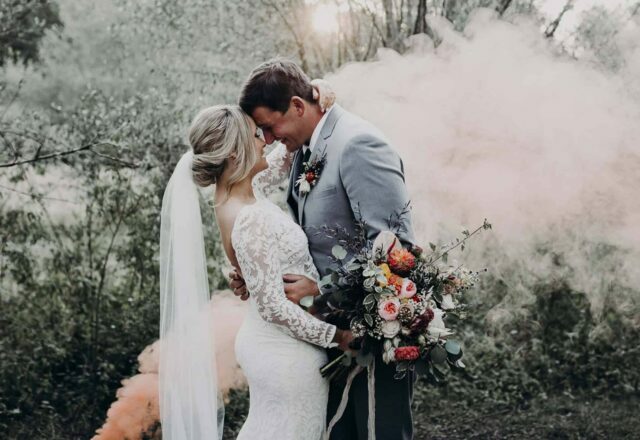 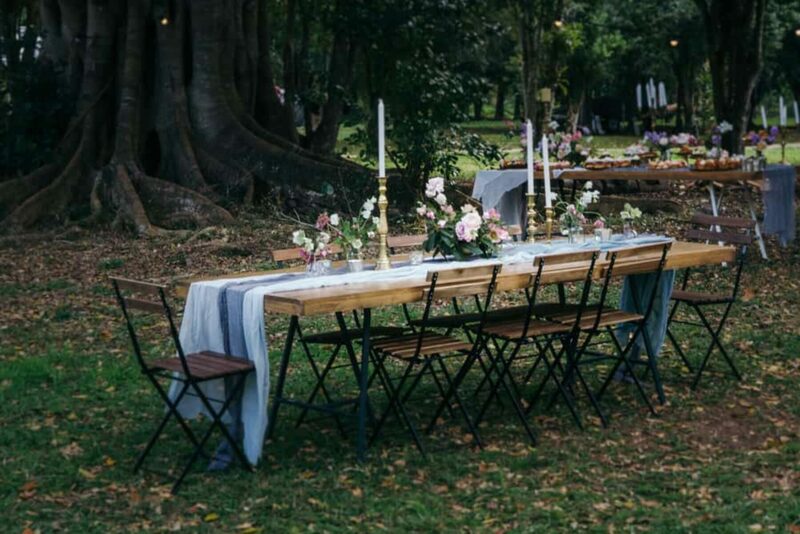 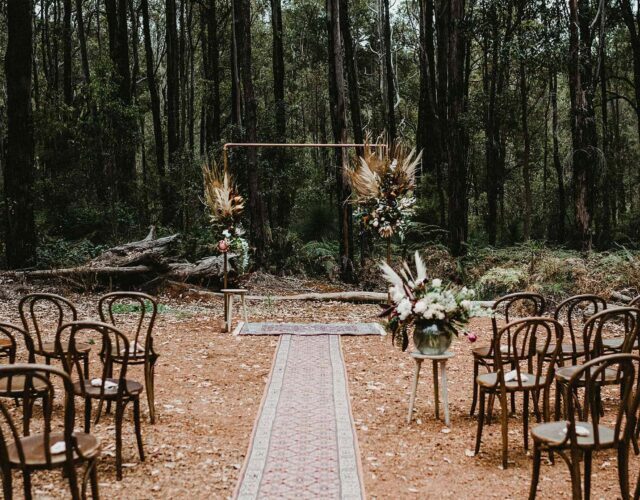 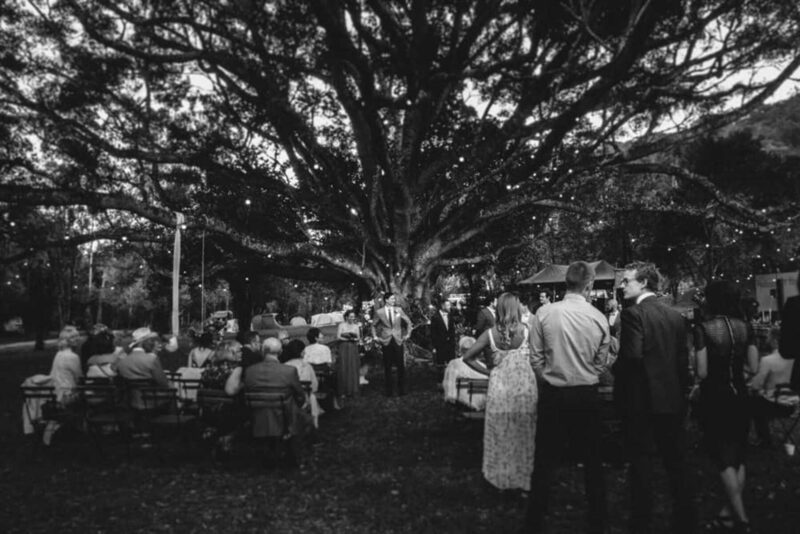 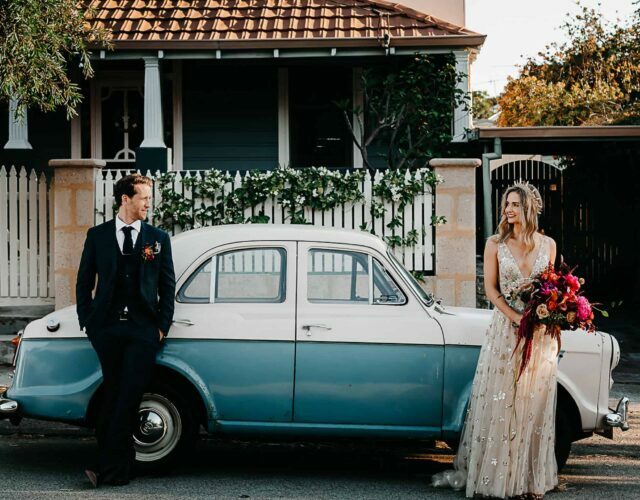 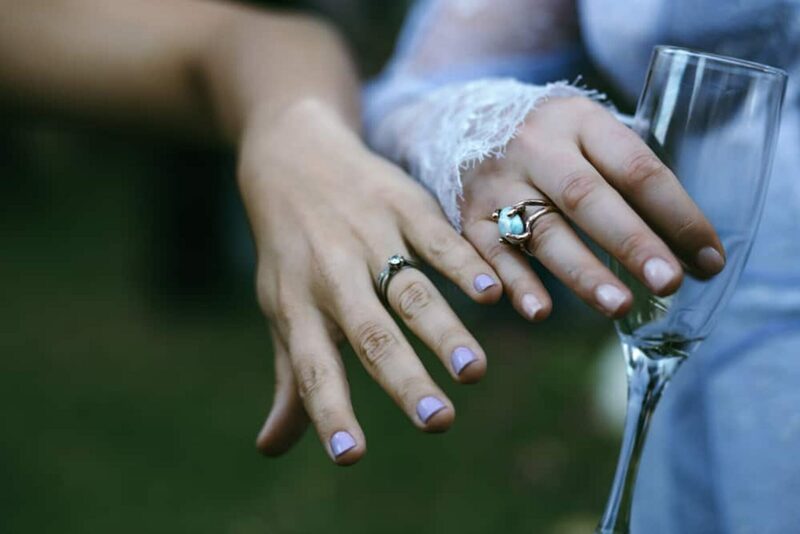 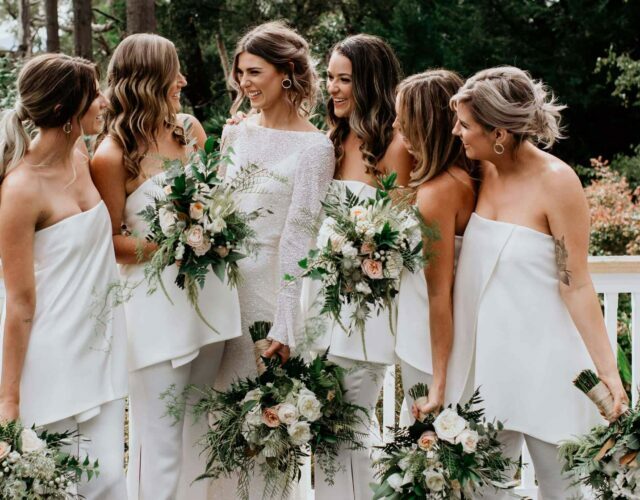 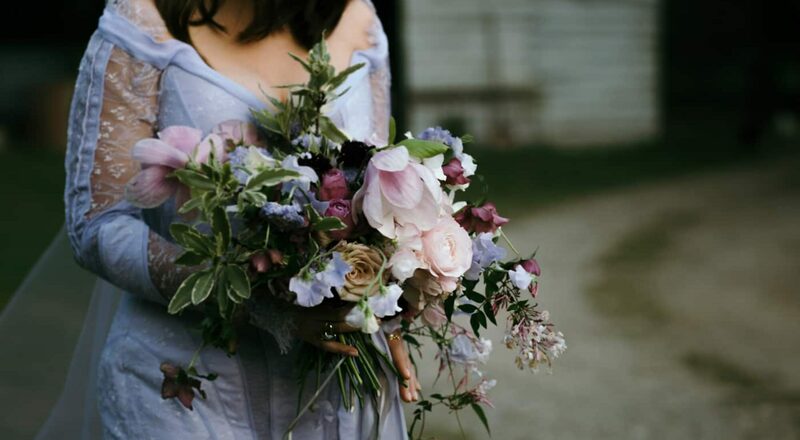 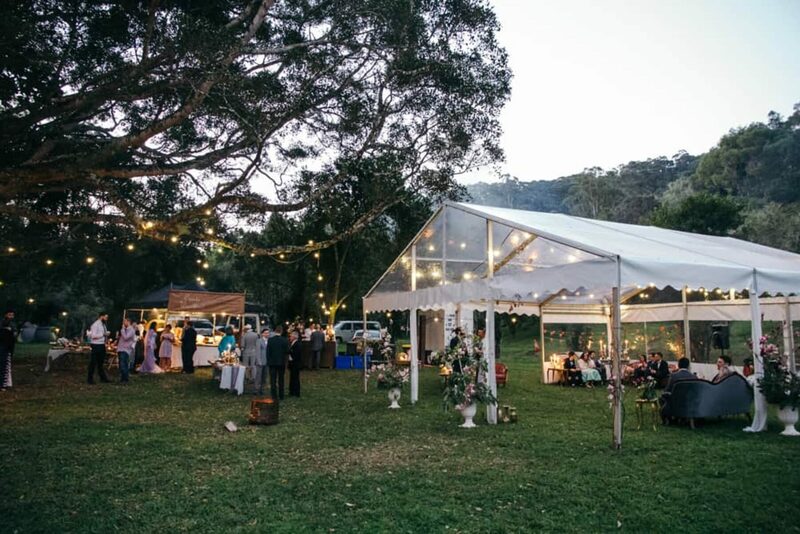 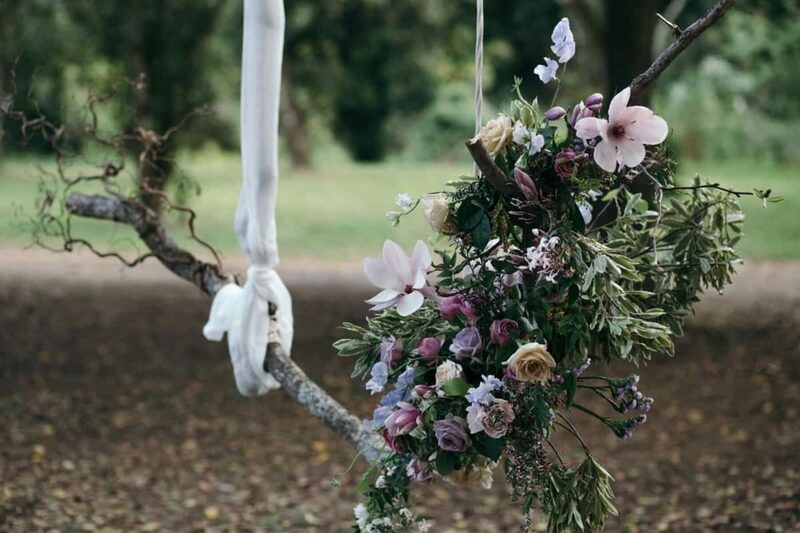 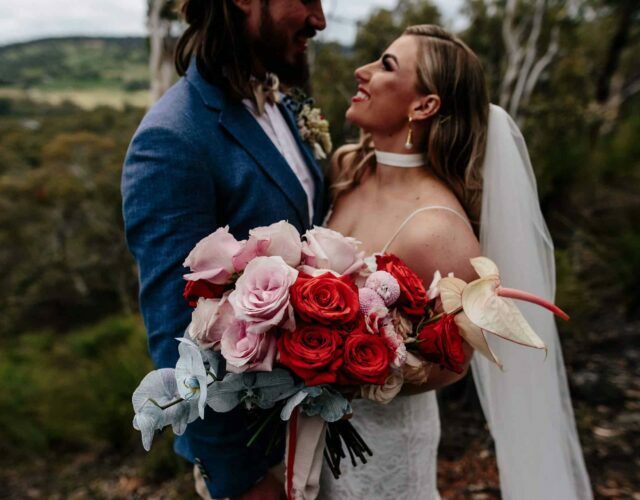 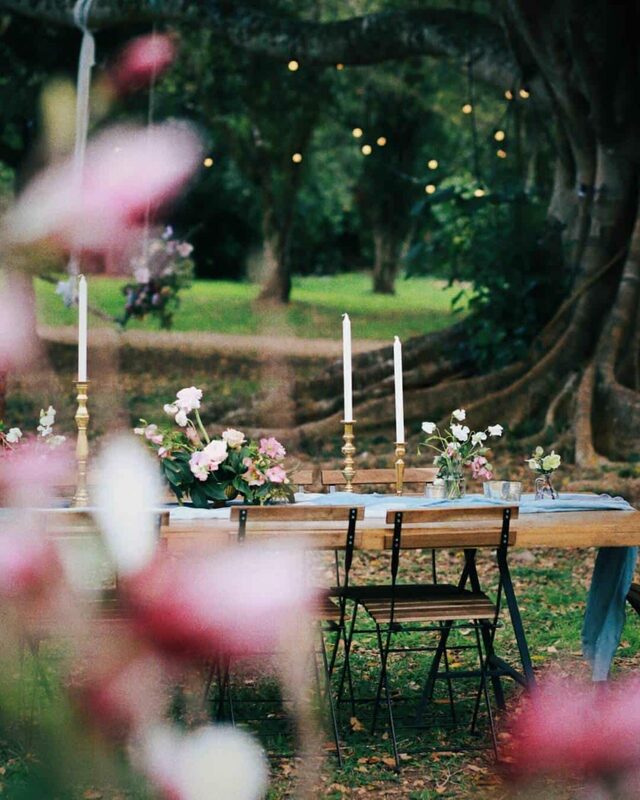 All I knew is I wanted a relaxed, unstructured vibe for the event.” With its creeks, fire pits and ancient trees, the grounds made for a charming bush setting, and the perfect spot for the newlyweds and their guests to chill out and enjoy the wood-fired pizzas provided by Crusta. 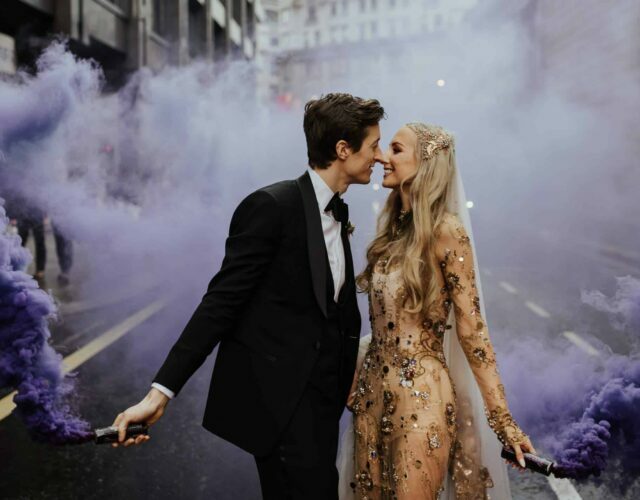 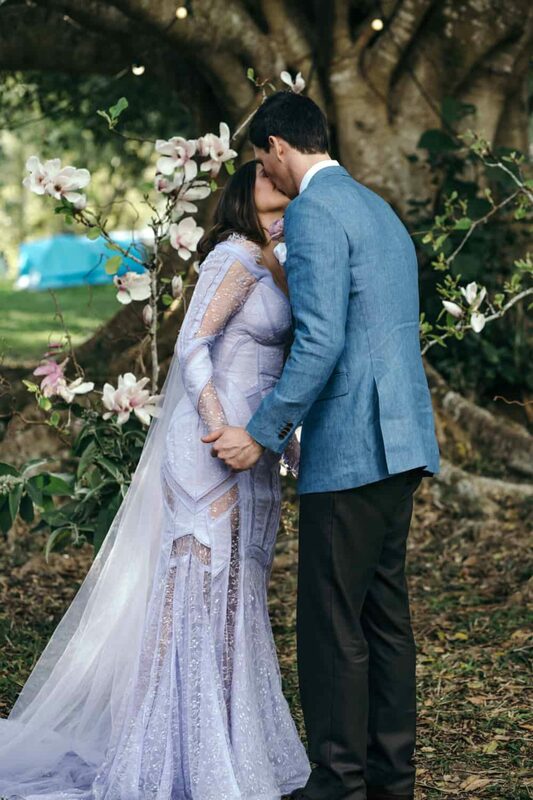 From the structured geometric cutouts the eyelash lace cuffs, we love every unique detail of Georgia's lilac gown. 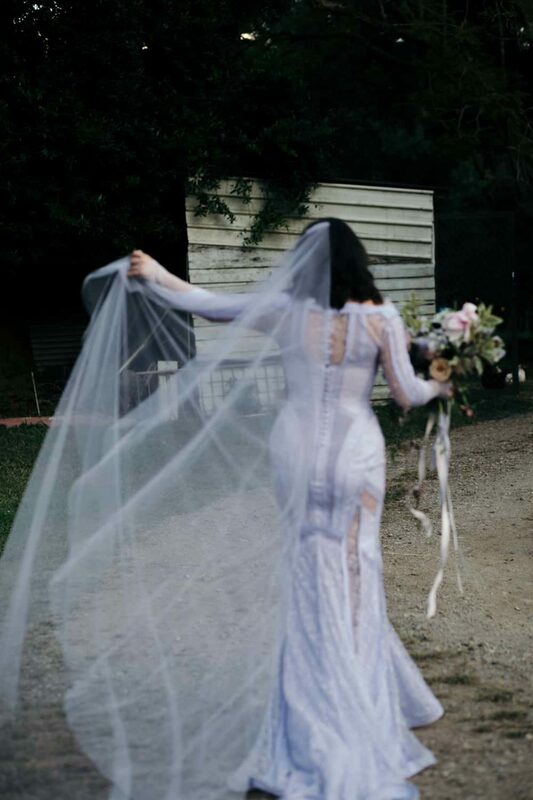 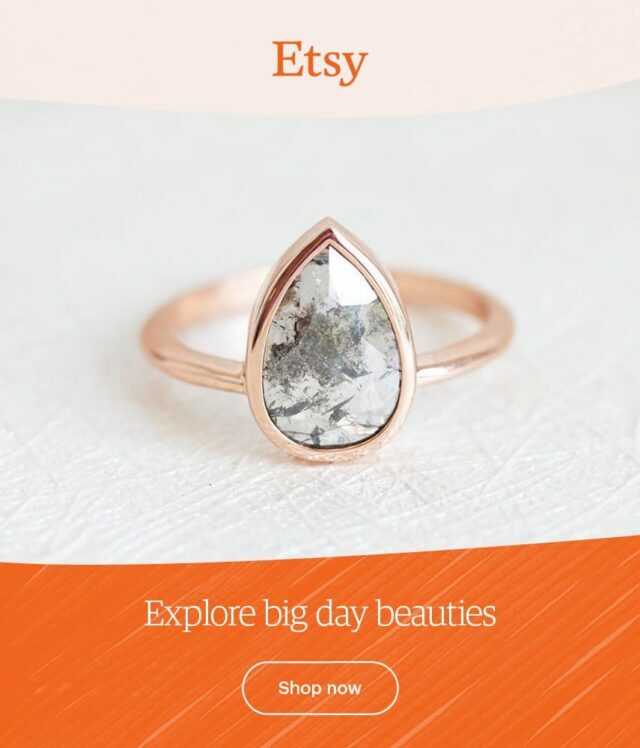 Designed of course by the bride herself - Georgia Young. 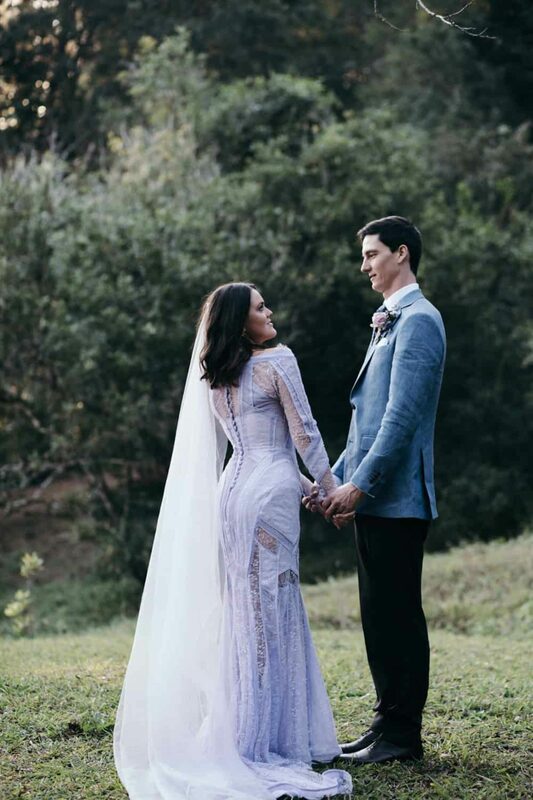 With a designer for a wife, it’s no wonder Adam killed it in the style stakes! 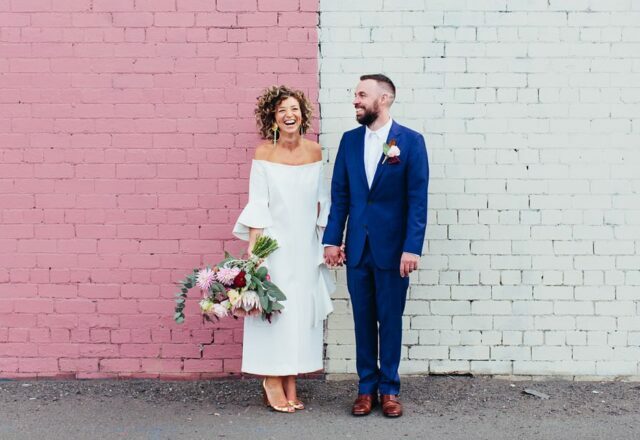 With the help of the team at Oscar Hunt, he skipped the typical black tux, instead opting for a blue linen blazer paired with a crisp white shirt and chocolate pants. 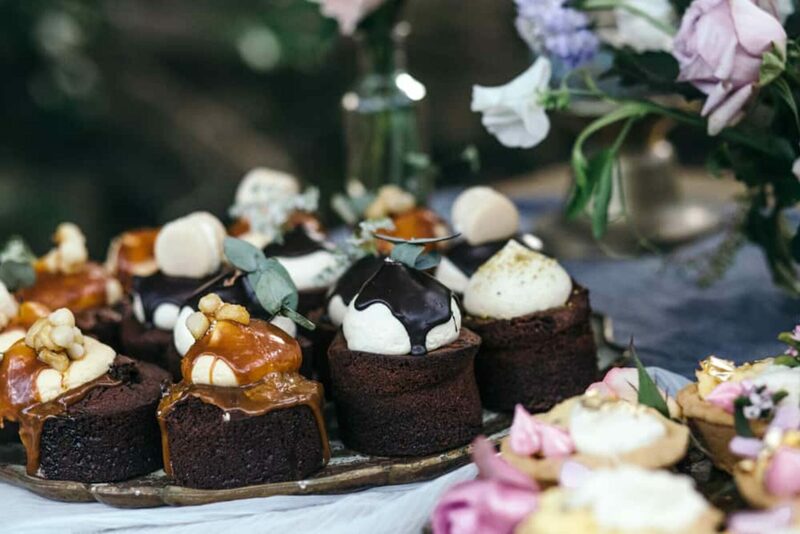 Georgia admits to having a major sweet tooth and when it came to dessert, her thinking was "why have one cake when you can have 50?" 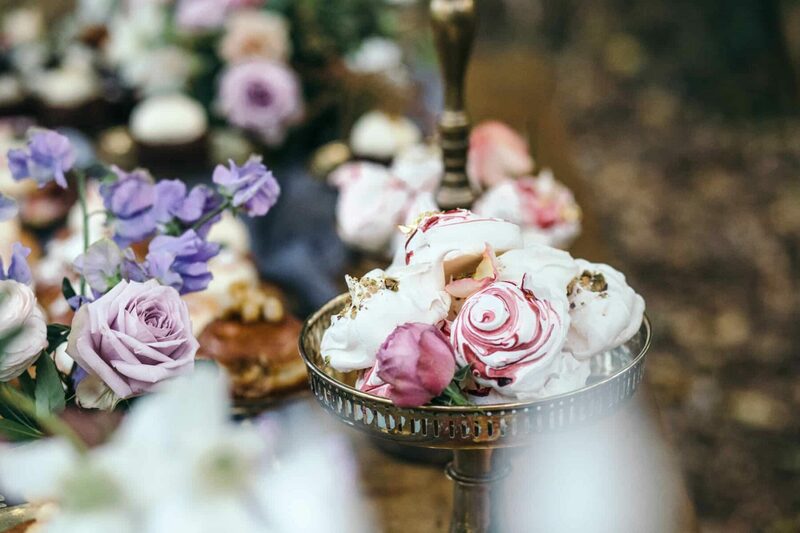 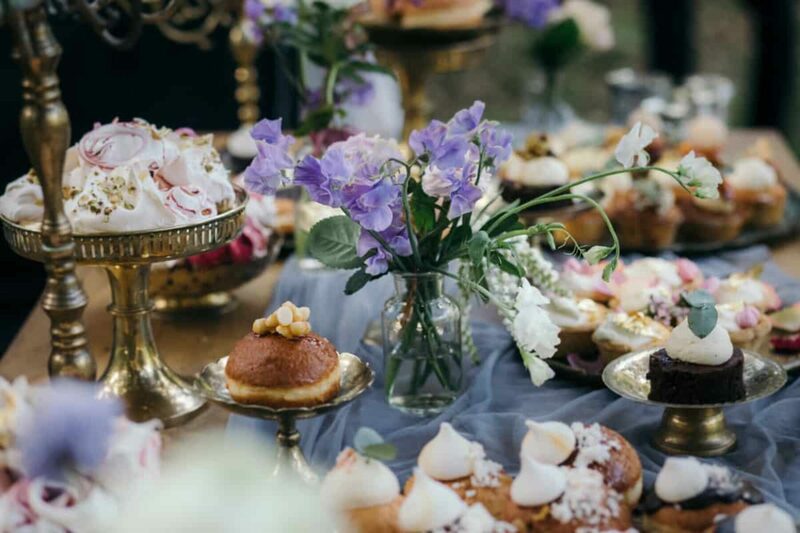 That heavenly treats table has us drooling, courtesy of Tome and The Cake That Ate Paris. 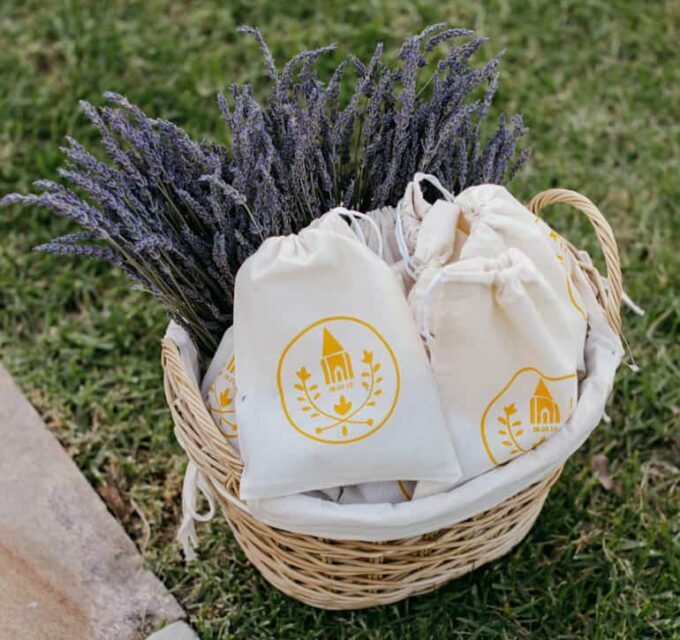 Lisa of Paper & Light Photography did a darn good job capturing these cuties and they think so too! 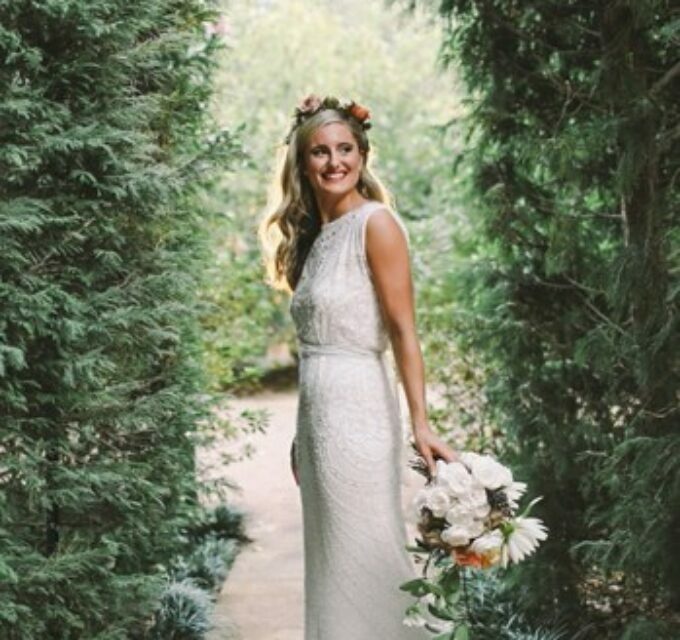 “Lisa is amazing. 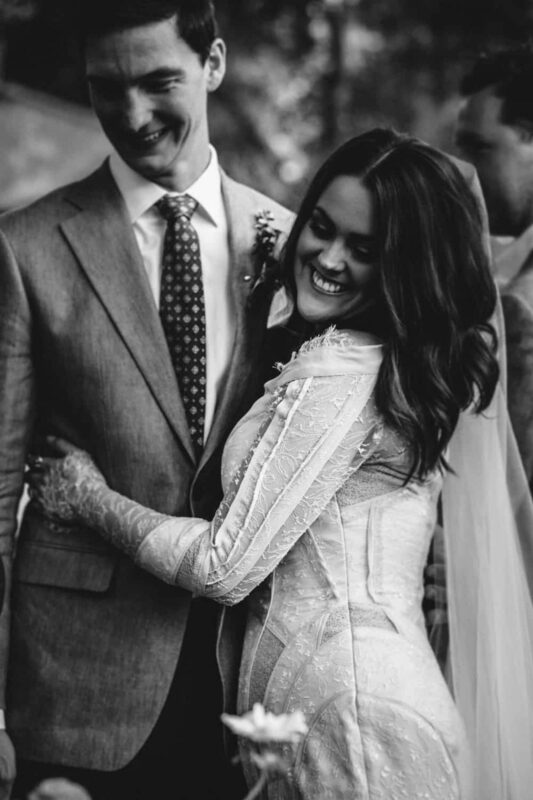 I'm so happy I booked her! 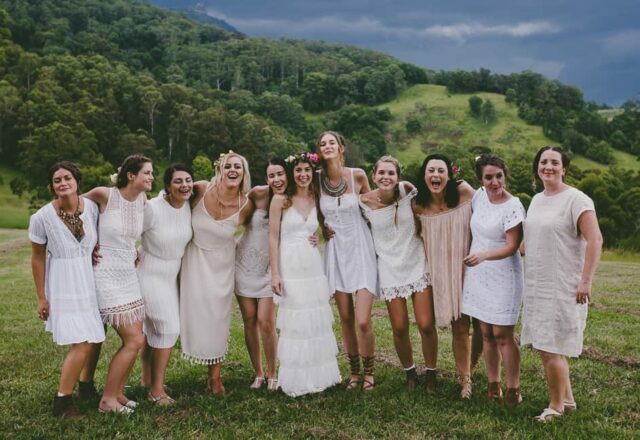 She is friendly, relaxed and captures all the moments with ease. 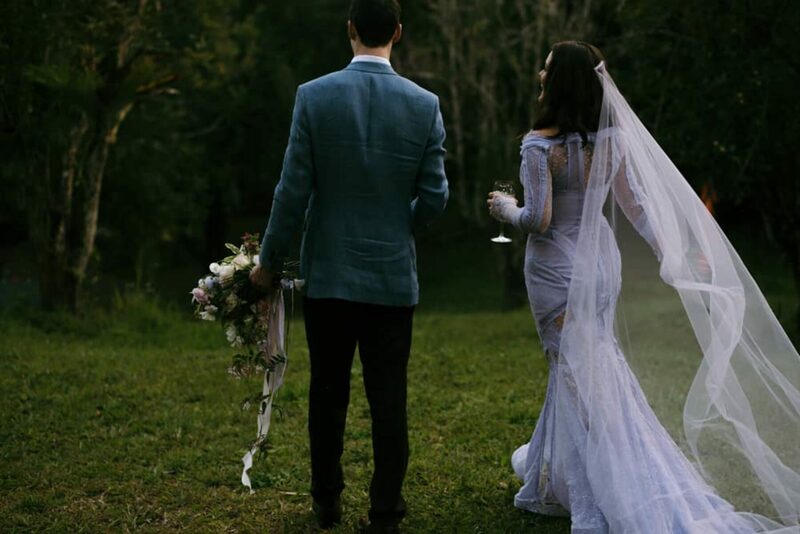 I was blown away by the photos and I know that I will treasure them all forever.” Says Georgia. 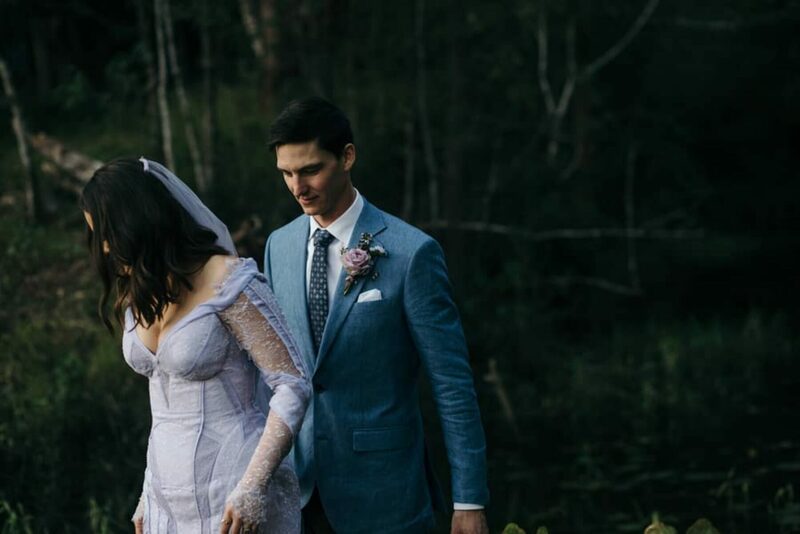 For Georgia and Adam, a special mention goes to Rex from Maca’s Camping Ground. 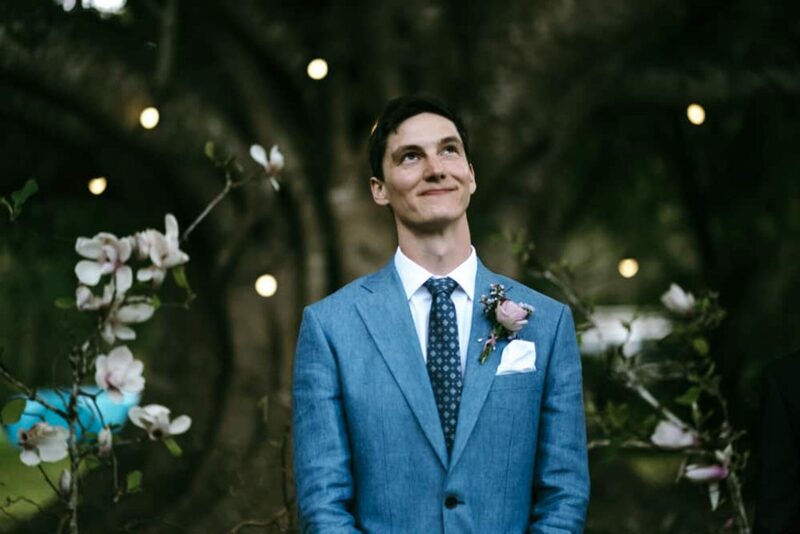 "He is one of a kind. 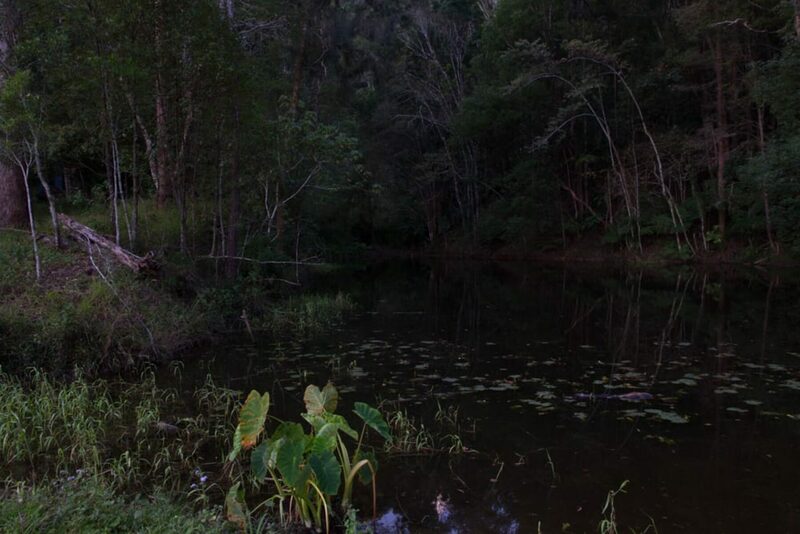 He puts so much love into that place and he welcomed us there with open arms. 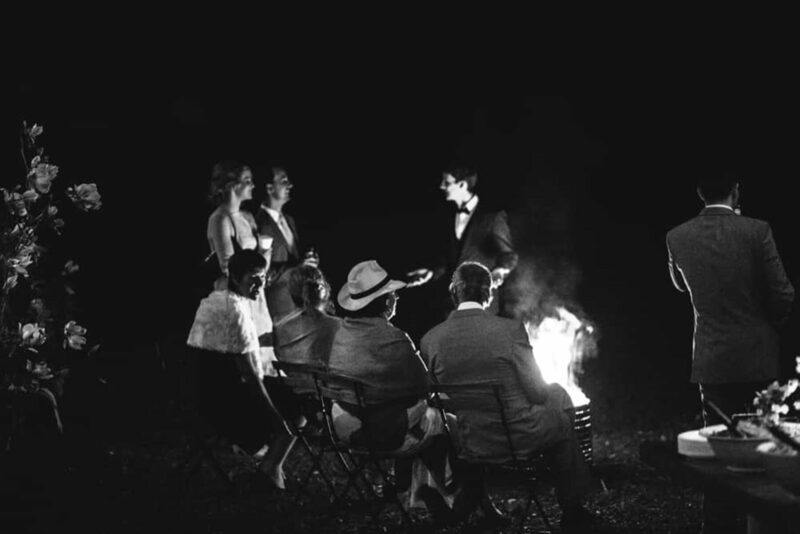 Without being asked, he spent the whole night of the wedding running around, collecting wood and keeping the fire pits going. 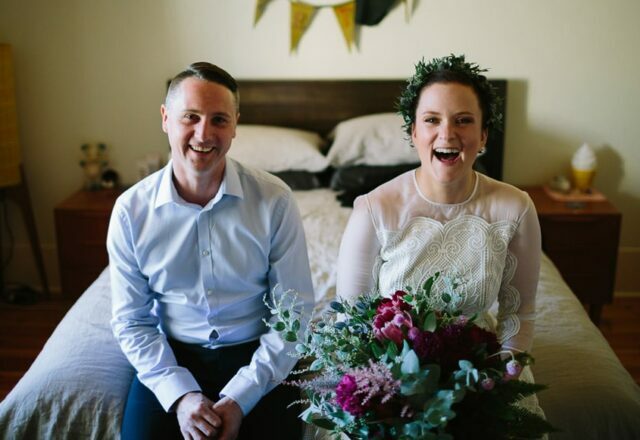 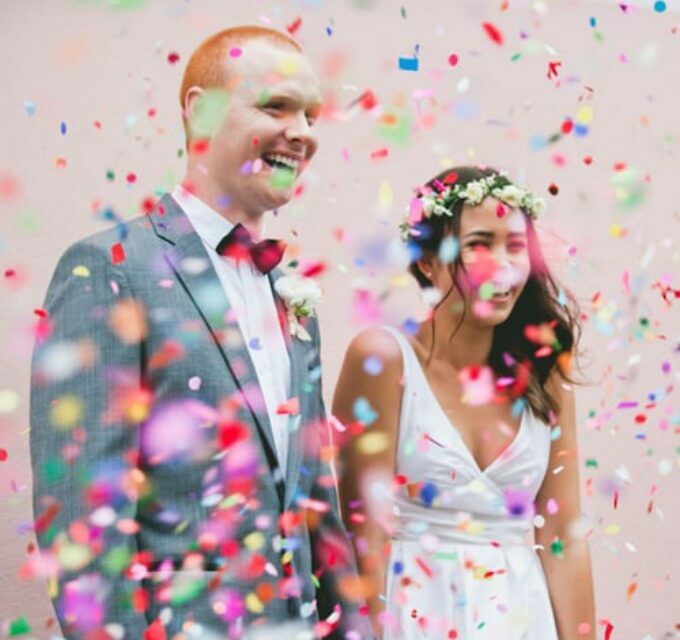 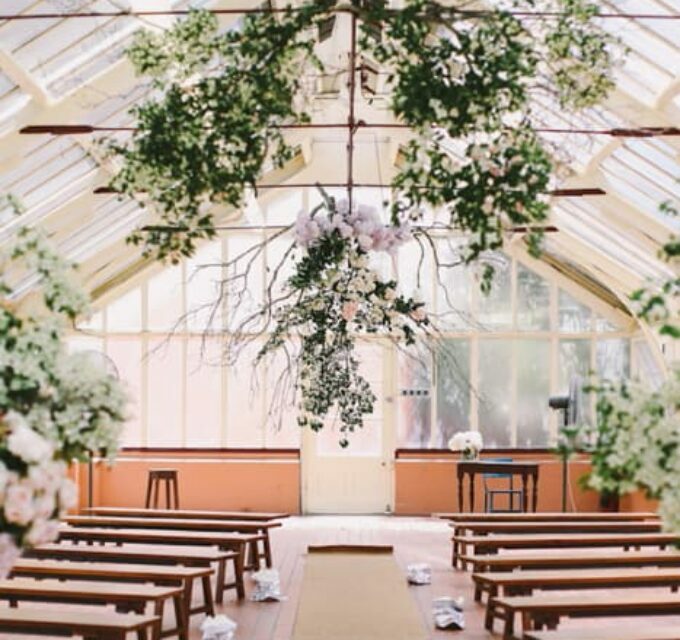 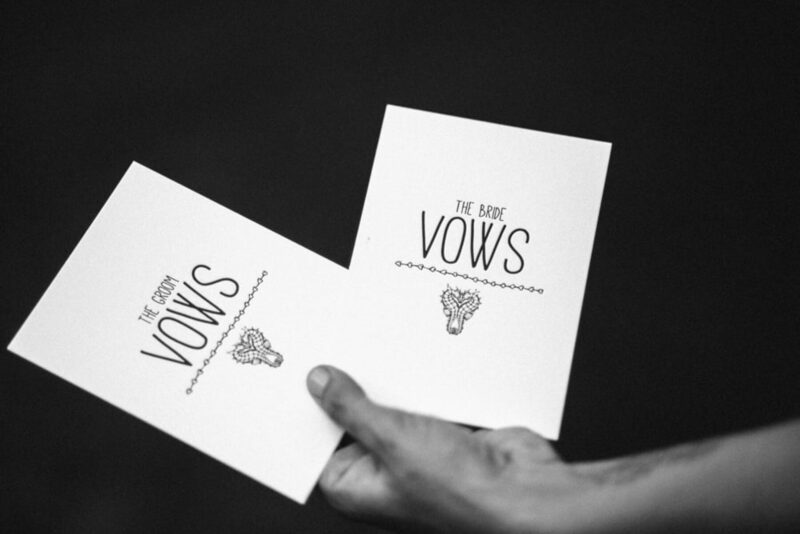 He mingled with all the guest and shared stories and he offered whatever he could to help us organise our wedding."